The DRX9000C is a combination nonsurgical spinal decompression system used to treat both neck pain and back pain caused by a variety of possible source processes. Meanwhile, the DRX9500 is specially designed for neck pain therapy, targeting symptoms mostly enacted by disc abnormalities, such as herniations and degeneration. Both systems are manufactured and marketed by Axiom Worldwide, a medical device company that focuses on decompression products and education. These noninvasive treatments have revolutionized the way some of the most common causes of neck pain can be effectively treated. However, the devices remain controversial in some circles and some citations of poor therapy outcomes have surfaced among a minority of treated patients. This focused essay examines the use of the DRX9000 system fitted with the cervical treatment adaptor, as well as the neck-specific DRX9500 machines. We will explain their indicated uses, the process of treatment and also provide some facts that neck pain sufferers should know when considering nonsurgical spinal decompression care. The DRX9000C consists of a basic DRX9000 unit that has been fitted with a special addition that allows treatment of cervical spinal issues, rather than just lumbar back pain care. 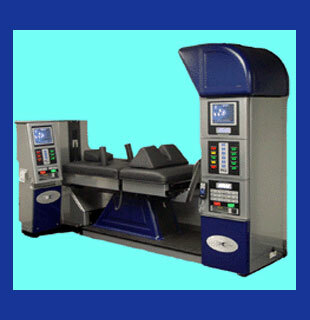 This combination system utilizes the core systems of both the original DRX9000 and the cervical-focused DRX9500 to form one comprehensive treatment unit. Care providers who utilize the DRX9000C can treat diagnoses at both ends of the vertebral column, offering tremendous flexibility for custom-tailoring an effective therapy routine for each patient. The DRX9500 is geared specifically towards treatment of the cervical spine. 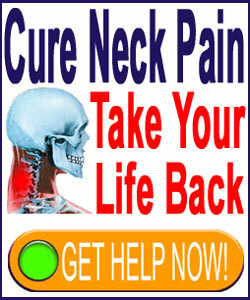 The unit is often used by specialists in neck pain and in treatment routines geared towards highly specific conditions. All the DRX spinal decompression systems are computer controlled and feature the latest technologies employed in this fascinating therapy sector. The DRX systems remain the most popular modern spinal decompression devices worldwide and have enjoyed recognition as some of the best in the industry by patients, researchers and caregivers alike. Noninvasive decompression treatment targeting the neck is used for select conditions and diagnoses. Each care provider can decide which conditions and patients are appropriate for treatment using the devices, but standardized guidelines for care are provided by the manufacturer and by many research studies that have reported on the efficacy of the devices for specific health issues. The most commonly treated diagnosis demonstrated by patients receiving DRX care is a cervical herniated disc. Contained intervertebral herniations respond best to DRX decompression and many patients are able to successfully avoid neck surgery when using the device to treat pathological disc protrusions in the neck. DRX treatment can shrink or eliminate intervertebral bulging, helping to remove pressure from the spinal nerves or spinal cord that is caused by herniated discs. Degenerative disc disease is the second most common diagnosis treated using the DRX cervical systems. Desiccated cervical discs can not be rehydrated by the device, but the intervertebral space might be able to be expanded, potentially taking pressure off impinged spinal nerve roots due to neuroforaminal stenosis. Treatment results for cervical DDD are not quite as positive as for herniated discs, but the statistics for favorable outcomes are still promising. Facet joint arthritis is the third most common diagnosis treated using DRX technologies. It should be noted that results for relieving facet syndrome symptoms are considerably less promising than for cervical disc pathologies. This fact has led some caregivers to focus exclusively on providing treatment to patient with disc-related symptoms only. However, other DRX providers cite acceptable to excellent results using the device to treat facet joint arthrosis and related nerve and mechanical pain expressions in the neck. General neck pain is often treated using the DRX system, even when a single definitive diagnosis does not exist. Some caregivers report good results from trying the device, as long as no contraindicating conditions exist to preclude treatment. However, the duration of positive results seems to be shorter than for other specific types of neck pain conditions, lending more credence to the idea that DRX is best suited to known disc-related mechanisms of pain. Treatment using the DRX systems of spinal decompression is finite in duration and relatively risk-free. The therapy process generally is performed over the course of 4 to 8 weeks time, with patients coming for sessions daily or several times each week, depending on many factors. It is also possible to re-treat patients who have previously enjoyed good results if their symptoms return at a future date, with no additional risk factors to consider. The DRX machines are primarily utilized by chiropractors, since the devices embrace chiropractic philosophy and practice relating to the desire to create unimpeded nerve function in and around the spine. A minority of care providers are physical therapists or traditional physicians, mostly working in the sports medicine and rehabilitation industries. Only a few orthopedists or neurologists employ the device in their clinical work. The treatment program has one major downside for patients to consider: the cost. The regimen of care is expensive and is often not covered by traditional health insurance policies. However, given the possibility of avoiding surgical intervention, most treated patients find the cost to be worth the investment. It is well known that spinal surgery for neck pain is a very risky endeavor, so we tend to agree that DRX decompression is certainly a worthwhile consideration for any patient facing an operation for a disc condition in the cervical spine. DRX treatment does not preclude patients from seeking surgical care in the future, should the therapy fail. However, some forms of spinal surgery, such as spondylodesis, do contraindicate patients from DRX decompression care.